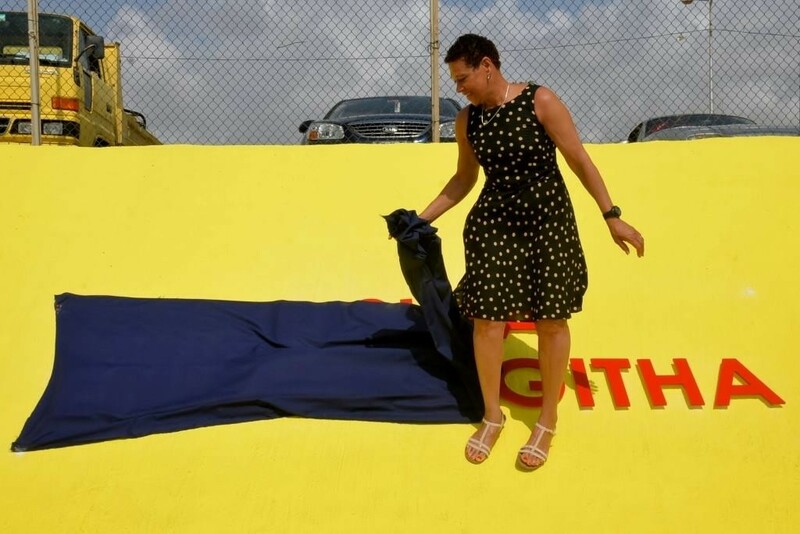 WILLEMSTAD - The swimming pool at the Sentro Deportivo Korsou (Curacçao Sports Center) has been renamed to the 'Pisina Enith Brigitha'. A beautiful tribute to this Curacao swimmer who swam in the world's top seventies. The appreciation for Brigitha also appears from a book about her life and swimming career that will be on sale in Curaçao starting November this year, titled, Bronze with a golden border. Brigitha's career began in Curaçao, where she won the 2.5-kilometer race at Spanish Water as a thirteen-year-old. Also in the two years after she scored as first in this match. In the Kingdom Games, she scored twice between 1967 and 1970 silver and twice gold for the Netherlands Antilles. When the Brigitha family left the island for the Netherlands in 1970, Brigitha's career only took off. Two years later, she participated in the Munich Olympics, where she ended five times in the finals. And all without stimulants or muscle enhancers. As a result, she missed many gold medals. This became clear when the Wall between East and West Germany fell. Therefore, the gesture of the Fundashon Desaroyo Deportivo Kòrsou (Curaçao Sports Development Foundation) is so important: to show that Curacao appreciates Brigitha's efforts and achievements.